Savor the taste of summer with this seasonal classic bursting with fresh flavors and bright colors! There are some things that just go hand-in-hand. Take for instance peanut butter and jelly or cookies and milk. How about Lucy and Ethel or Ben and Jerry? I think you’ve got the idea. There is a long list of things that just work well together. One of my favorites may also be pasta and pesto. Tell me, is there anything more savory and delicious than fresh garden herbs mixed into a plate of pasta? It doesn’t matter what the season may be or how busy the day is, pasta is just one of those foods that will always, unequivocally remain a good idea. This month on Living the Gourmet, we are excited to introduce a new series – Summer Comfort Food. Let’s cast away that recurrent repute that ‘comfort food’ is just a winter thing. Let’s make some dishes that are hearty for the soul but not heavy; foods that are fresh, seasonal and local. Let’s bring back summer staples with a classic twist. I don’t know about you but I’m already hungry just thinking about it. 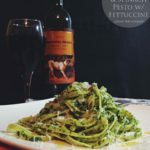 Kicking off the series, we’ve prepared for you a spicy pesto fettuccine. There aren’t too many words to describe just how delicious this meal is, so you’re going to have to make it yourself and see. Nutty, savory, spicy and just a little cheesy. This pesto is perfection. Make a big batch and freeze it to have on hand for the rest of the season. Combine all of the above ingredients in a food processor and process until smooth. Prepare your favorite pasta as directed. Plate the pasta in a large bowl and toss with the pesto. Shave extra Parmesan cheese and extra drizzle of olive oil if desired. 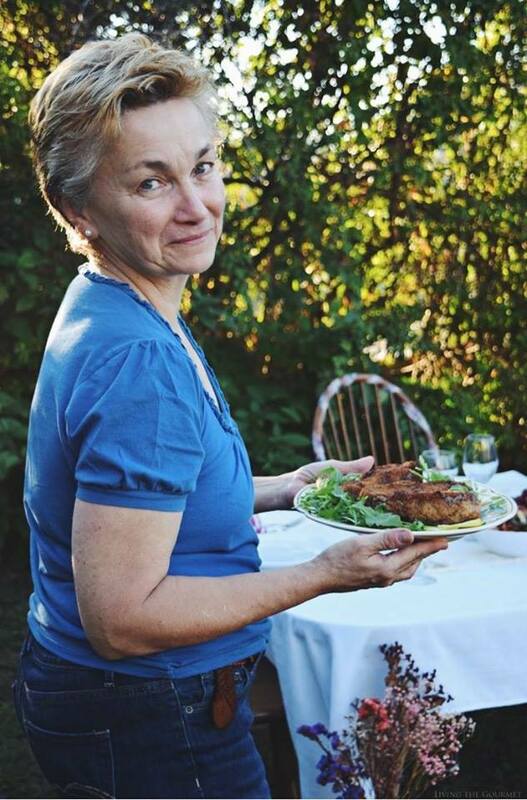 Simple, comforting and very tasty, Catherine. This definitely looks hearty for the soul and fresh and seasonal! This would be a complete perfect meal to me! Thanks for the recipe, Catherine! 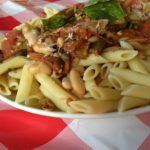 When I think of Italian comfort food, a yummy pasta like this comes to mind, a delicious recipe Tammy ! This looks so delicious! I love your new series idea! Confession: I am a pastaholic and this pasta is calling my name! I do love comfort food and can't wait to see more of Summer Comfort Food recipes. Yum! Summer comfort food is right!! This looks perfectly amazing. 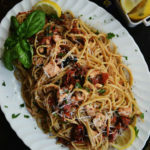 I am making this for dinner this week! Yes, I'lll take a big plate of this pasta please! 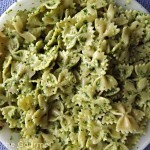 :) I love homemade pesto and since pine nuts are super expensive I too use almonds, they work great.